Last week, I attempted a difficult recipe for my week of food. The lasagna was great and it lasted all week, but it was a lot of work. I’m so excited about my new meal plan of cooking for the whole week and not having to worry about what I eat every night. I’ve also started to try to make things that are low carb. I even bought low carb snacks to eat during the day. This week, I decided to do something a little easier. There was only one problem. My dog, Cooper, decided to jump up on the counter and knock the crock part of the crockpot off and it busted in to a million pieces. Luckily, I still have a really small, not fancy crockpot, so I could still cook my weeks food. The only drawback to that is that the crockpot is a little small so I had to stuff everything in it. 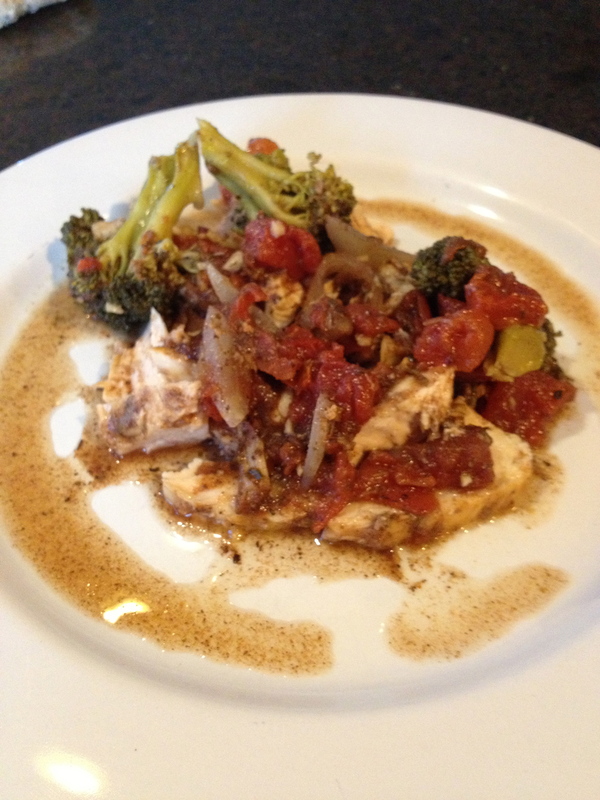 I found this recipe on Skinny Ms and added the broccoli. I ordered a new crock from Sears, so hopefully, it will be here in a few days. 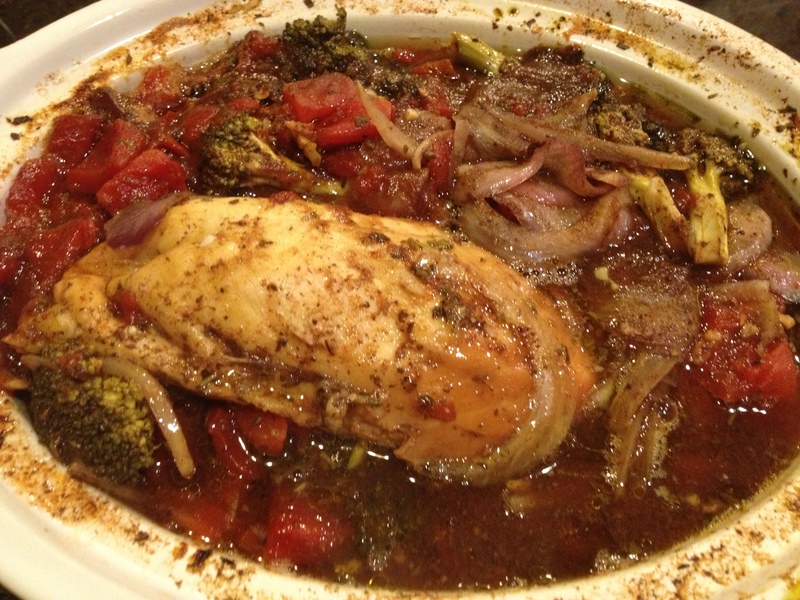 By next week, I’ll be crocking a new recipe in the big crockpot. 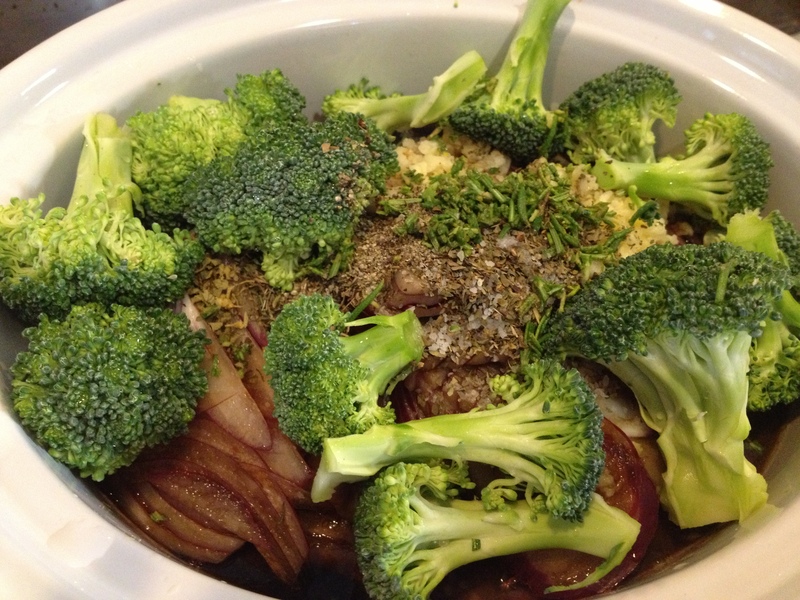 Put all the ingredients in the crockpot and let cook on high for 4 – 6 hours. Here is what it looked like cooked. I sliced up the chicken and then put the vegetables and sauce on top. It was very tasty! You must like Balsamic Vinegar to like this though! !